Team TBF is proud to announce that we are officially launching our online SOS digital marketing clinic. 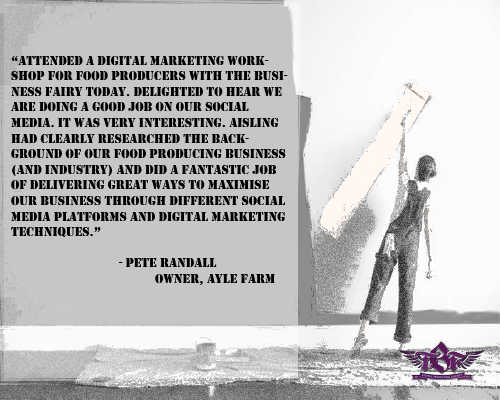 Our digital marketing clinics have been hugely effective over the past few years, and always receive great feedback from our clients. Due to popular demand and the current waiting list for our offline clinics, we have decided to provide a limited number off online digital marketing clinics to help businesses to solve the problems that they are having within their digital marketing. We advise clients from six different Local Enterprise Boards around the country including Dublin City. Click here to book. 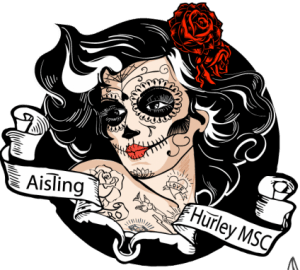 Our founder and in-house digital media expert Aisling Hurley Msc., has years of experience in helping all sizes of businesses to up their digital marketing game and remove any obstacles that are stopping your business to be working at it’s best. You can ask any question, from facebook advertising to google adwords to SEO and website problems. It’s all about you and fixing your problem to get your business running like a smoothly oiled machine. It doesn’t have to be a digital question either, our team have experience in building businesses that trade internationally, so you could ask questions about business operations, product development, innovation, LEAN business practice etc., and what you could be doing more effectively. Each of these online digital marketing clinics are tailored to you and your businesses needs. After you book in you can send us any problems you are facing or questions you may have, and our team will research and analyse your business, and how we can help you. During the meeting, which will take place on a dial in conference facility with screen sharing technology, we will provide you with effective solutions that are suited to your company and it’s needs. Our next available date for a clinic appointment is Thursday 28th February. Due to demand, strict time slots of one hour will be allocated to each client. These time slots will be 9am – 10am, 10am-11am, 11am-12pm, 12pm-1pm, 2pm-3pm, 3pm-4pm and 4pm-5pm . Each clinic will cost €125 (ex vat – vat at 23% is included in the full booking fee). This is a really cost effective way to get answers you need, without paying an hourly rate for research and analysis from the team, or spending hours, days or weeks trying to find thes solution to your problem. 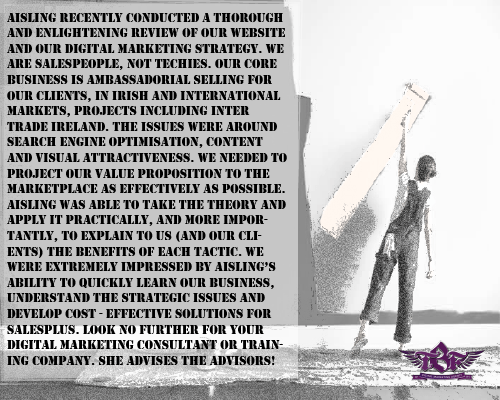 To find out more, you can email info@thebusinessfairy.ie, or click here to book a clinic.